Exercising regularly in order to maintain muscle strength and balance is one of the best ways to prevent injuries related to falls. Tai Chi for example is a great way for older people to maintain balance. Regular eyes checks are very important for older people as one person out of three suffers from some type of vision-reducing eye disease after the age of 65. Age-related macular degeneration, glaucoma, cataract and diabetic retinopathy are the most common causes of vision reduction in older people. Hearing check up is also something you should get after 65 year old. People who are loosing their hearing experience a decline in environmental awareness. Statistics have shown that the risk of fall increases 140% for every additional 10 decibels of hearing loss. Some medications can cause drowsiness and dizziness. Older people should check with their doctors if there are options to avoid or minimize the dosage of such medications. Benzodiazepines, sleep medication, antidepressant, blood pressure and blood sugar lowering medications, some medications to help urination as well as muscle relaxants can increase the risk of falls for older adults. Making sure that the home is fall-proof is also essential. Throw rugs and loose carpets are dangerous in older people’s houses. Pet toys, electrical cables or anything left on the floor can also be dangerous. Tubs and showers should be equipped with a good quality anti-slip mat. Railings should be installed and used on stairs if necessary. Adequate lightning should be installed all over the house as well as nightlights at least between the bedroom and the bathroom. Older people should also avoid walking with socks or slippery shoes in their house. 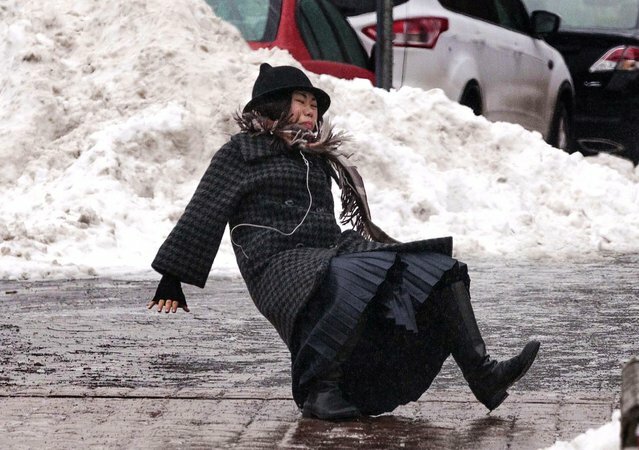 Investing in good non slippery shoes can prevent costly and painful falls.